After four years on the market, we have finally sold our houses and property. We’ve been working on the downsizing for about as long, so we have said “Good-bye” to a lot of things. We have parted with lawn mowers, construction machinery, sporting gear, household furnishings and personal keepsakes. It’s been a monumental process. 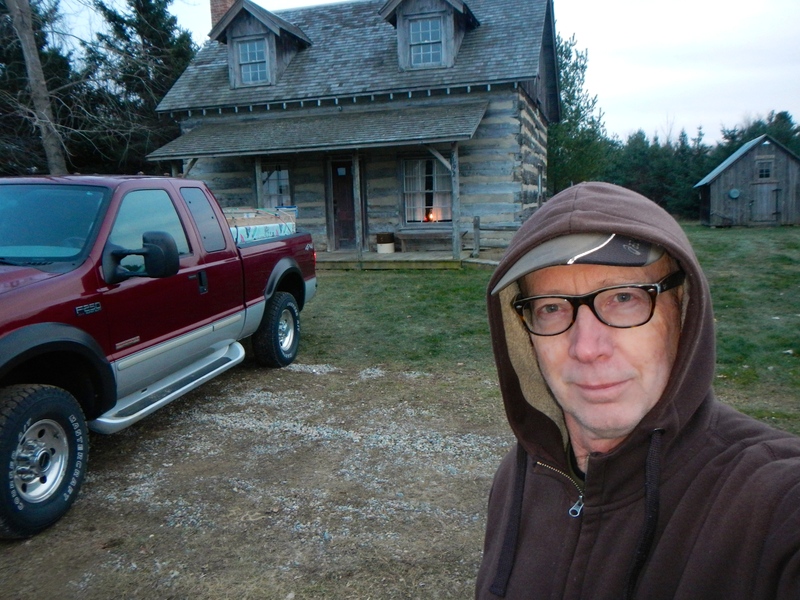 We just hauled away the last pickup load of stuff from the Michigan cabin. But here’s the other side of it. We are saying “Hello” to a lot of things too. While we are saying “Good-bye” to the snow shovel and the windshield scraper, we are saying “Hello” to flip flops and beach towels. Not a bad trade-off, I’m thinking. When you move in a given direction, you move away from one thing and toward the next thing, and it’s the moving toward that is the fun part for us at this juncture. We are moving into the RV as a lifestyle now, so while we are saying farewell to a spacious kitchen and a nicely organized workshop where the tools can be laid out all the time, we will shift to outdoor living, dining outside on lawn chairs, and I’ll have only the most essential tools in the traveling toolbox. There’s good and bad in everything, and this is no different. But we are very nearly done with the hard part, the downsizing and parting with old favorite worn-out sweaters and no-longer-used kids toys and two wheelbarrows and three ladders. We are not planning to own property again while we are well and able enough to travel. Maybe later when we are too decrepit to move and climb into the cab of the pickup. 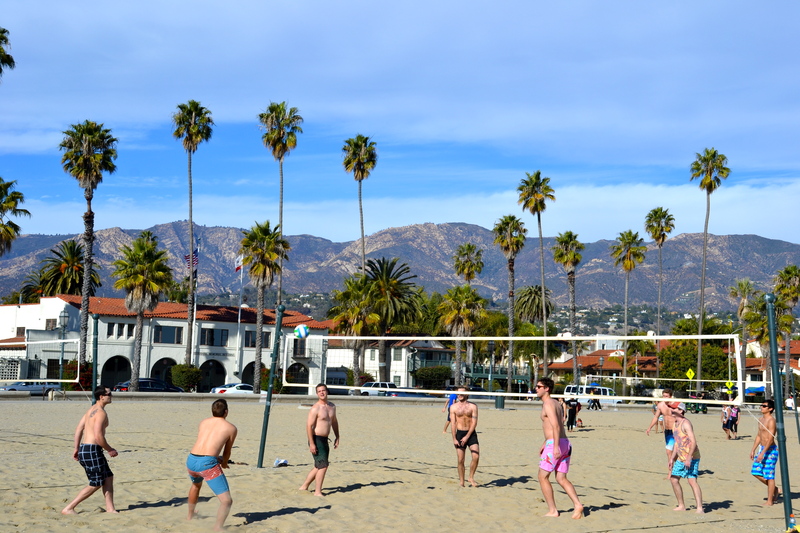 No snow shovel is needed on the southern beach. So I left the snow shovel and two lawn mowers for the new property owners along with rakes, shovels and weed whips. I did keep a small chainsaw — just in case — but I don’t know if I’ll ever use it again, so I left it in storage. Chainsaws aren’t needed much when you’re living on the road. And since we are heading south every winter, a snow shovel is about as useful as a comb for a bald man. Well anyway, having said a thousand good-byes over the last four years, we are planning to say about as many hello’s for the next few. 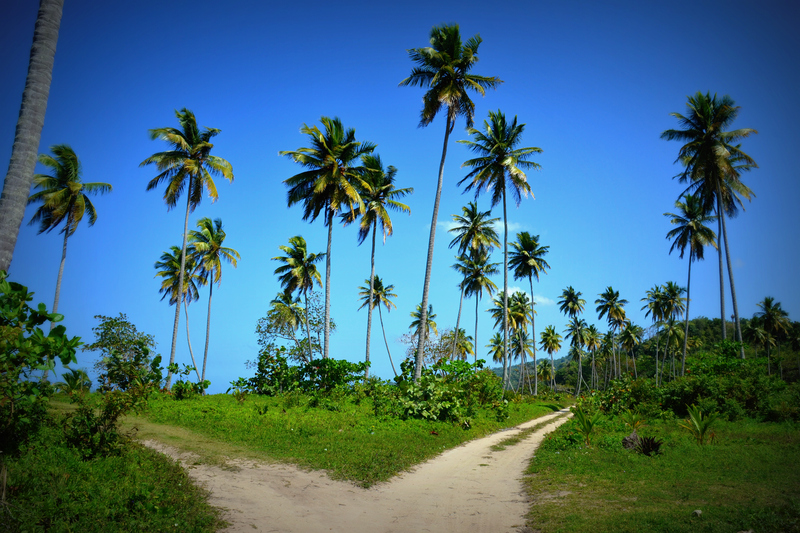 Which road will you say “Hello” to, right or left? Don’t worry, this time it doesn’t matter — they both lead to the beach! Three months of winter, three islands in the south. Dauphin Island, Alabama for January; Anastasis Island, Florida for February; and Emerald Island, North Carolina for March. Then back to Clearwater Campground, Holly, Michigan for next summer and fall. If we do come your way, don’t forget to say, “Hello”. That’s what we’re all about these days.